When you look at the world of the future, are you thinking more along the lines of the desolate landscape of the film WALL-E or a lush existence as portrayed on the moon Pandora in the movie Avatar? There are startlingly few examples of films with a green future. Do you foresee a place that venerates the environment and strives to preserve it, or one that disregards the ecological balance of the planet, effectively turning it into a giant landfill? Sure, these are fairly dramatic and somewhat unrealistic examples, but the attention green buildings and construction have increasingly received in recent decades is a strong signal of how important environmentally friendly initiatives are for many people. Green architects are at the center of this revolution, and while many clients are interested in making their commercial or residential spaces greener, they likely won’t understand what it takes to design or retrofit their buildings. To reassure doubtful homeowners, clear communication is key. Here are four points green architects should discuss with their clients when beginning their business relationship. 1. Location. Each state and region will have its own particular green-building culture. Politics and partisanship can influence the rate at which some cities and states adopt green initiatives, which can impact the equipment and materials that architects will be able to directly access. The supply chain is an important component in many construction projects, and green building is no less dependent on a reliable supply of materials and resources needed for sustainable designs. At the same time, Leadership in Energy and Environmental Design (LEED) certification is an international standard that rates structures based on their energy consumption, carbon emissions, and environmental impact. With 2.29 square feet of LEED-certified building space per capita, Illinois ranked as the national leader in 2013, according to the U.S. Green Building Council. Even though California and New York had a greater number of total projects last year, the population of those states influenced their ranking. Regardless, these locations support a green-building movement that benefits from an infrastructure and supply chain that integrate ecologically friendly resources. As clients propose places where they’d like to build their green structures, architects need to clearly communicate this information. 2. Climate. In a similar vein, weather patterns and climate can significantly influence green construction. In an interview with Inhabitat, an online resource for those interested in innovative architecture and home design, Bernat Ferragut and Kate Alvo discussed the challenges they faced in building an eco-friendly home in rural Quebec. The winters can be frigid and the summers blazing hot, while heavy rains can also affect the building process. Accordingly, the house was built facing south, which helps to retain the heat during the winter and dissipate it during the summer. For green architects, the most important factor is ultimately how well materials and the design align to keep energy consumption down and decrease the ecological footprint of the structure. So, the walls are insulated with straw bale, and a double-wall is filled with cellulose, explained Ferragut and Alvo. Ferragut and Alvo depended on pre-fabricated walls, which can be installed quickly with less manpower and greater ease. In fact, the two now operate a small business that distributes these walls, and they emphasize the fact that any contractor familiar with pre-fab materials should have no problems working with a sustainable alternative. Although green architects aren’t necessarily climatologists, they will be familiar with specific geographic regions and should guide clients—as well as HVAC contractors, interior designers, plumbers, etc.—by providing clear feedback about what is feasible given a particular region. 3. Durability. How long do your clients expect their green structure to last? 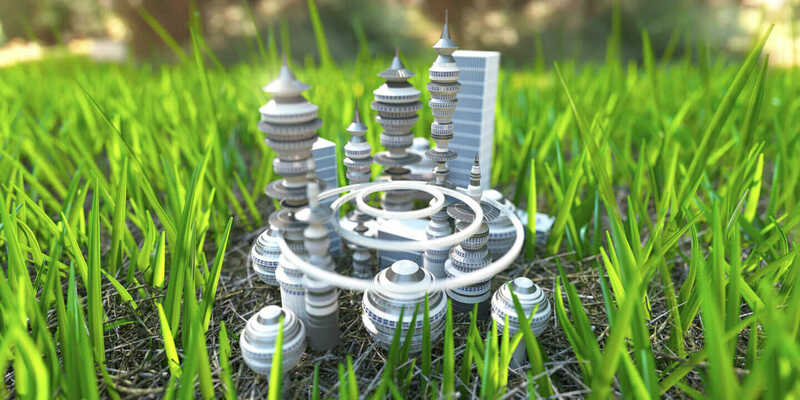 Because individual perspectives can differ greatly regarding the ecological impact of green architecture, those designing the building need to understand whether or not their client wants the building to still be standing 50, 100, or 500 years later. According to The Green Building Information Gateway, a site run by the USGBC, there is a complicated relationship between eco-friendly buildings and durability. Citing the Insight Technical Report, green structures, such as rain barrels, require the use of technology and equipment that have a lifespan that is significantly shorter than the projected duration of the building as a whole. However, when the architect and building owner discuss their plans, they should talk about any alternatives that more closely align with the environmental approach they’re looking to take. For example, Inhabitat highlighted the extent to which the owners of the Bragg Hill House went to create a durable eco-friendly building. Working with the firm Moger Mehrhof Architects, Barney and Nancy Leonard used materials sourced from the surrounding forests that were strong enough to last several generations. The wood is reclaimed from the property or neighboring locations. Additionally, the home integrates passive solar design similar to the Quebec building, as well as solar panels and a photovoltaic system that provides nearly all the power the building requires. 4. Incentives. As with any construction project, funding can quickly become an issue. As an infographic effectively points out, installing solar panels and similar green designs isn’t altogether cheap. But thanks to a number of generous programs, architects and building owners alike can benefit from grants, such those offered by Enterprise Community Partners. However, Forbes contributor Dean Zerbe expounded the virtues of the 179D tax break for energy-efficient buildings. According to Zerbe, architects working with local, state, and federal governments can deduct $1.80 per square foot from the expenses they incur working on a green building. Both the owner and architect can benefit from this tax break, so as they discuss costs and the contract, they should keep this in mind. Check out the AIA Small-Firm Sustainable Strategies practice class (and others) at AIA Chicago.